Actor Alec Baldwin urged voters to use their collective voice during the upcoming midterm election and “overthrow” President Donald Trump. 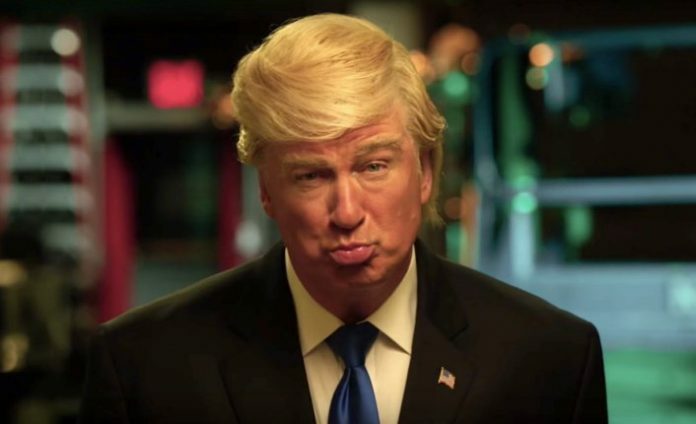 A day after Baldwin portrayed Trump in a “Saturday Night Live” skit about the president’s recent meeting with rapper Kanye West, he addressed voters at a political fundraiser for the New Hampshire Democratic Party, according to the Associated Press. Baldwin’s comments were met with harsh criticism from a commentator on the other side of the aisle. NRATV contributor Dan Bongino said Monday on “Fox & Friends” that he was embarrassed for Baldwin. Mr. Baldwin is the last person who should be lecturing others about how to treat women.